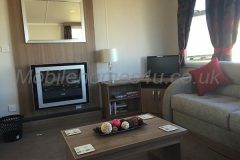 Our spacious and well presented 3 bedroom caravan offers good sized luxury family accommodation. 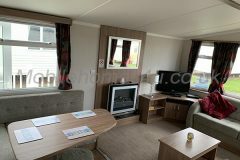 It has double glazing and central heating and is fully equipped for a self catering holiday on one of Haven’s well known Holiday Park’s in Northumberland. Benefiting from just a 10 minute stroll from the local town centre of Berwick Upon Tweed with the local train station at the top of the road meaning perfect for those guests who don’t drive or simply prefer to use public transport. 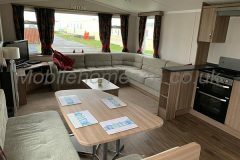 Spacious lounge with plenty of comfortable seating, electric fire and 32" television with free view and separate DVD player. 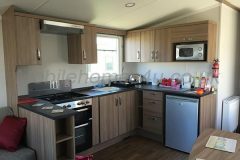 Well equipped kitchen with Gas cooker, Fridge with freezer compartment, Microwave, Kettle, Toaster, Cutlery, pots and pans and everything you'll need. 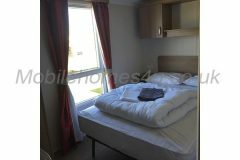 Three bedrooms consist of a double bedroom and two twin bedrooms. 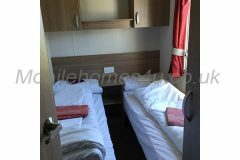 Also has pull out bed under the main seating area in lounge which can sleep 2 people. Shower room and a separate toilet. 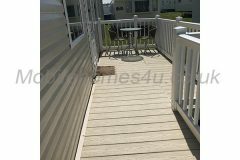 Outside there is a decked veranda with garden furniture. There is also a grassed area and space for parking. 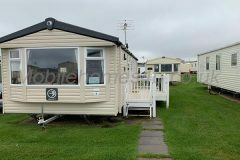 Caravan is leased from middle of March until the end of October. 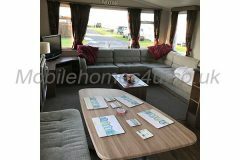 Caravan can be hired for a 3,4,7 or 10 night break or longer can be arranged. Please contact me and i will do my best to help. * Bed Linen is provided. Price range (per week): £325 to £695. To book or for more information please contact owner.